Bobbing about the Isle of Nofendersville per tipicali, late one evening, I listened via my NFB Newsline for The Blind telephone service to two very interesting articles upon revered NASA Astronaut Scott Kelly, especially engrossed by the exert from his book Endurance, from the Smithsonian Magazine's September 2017 issue. 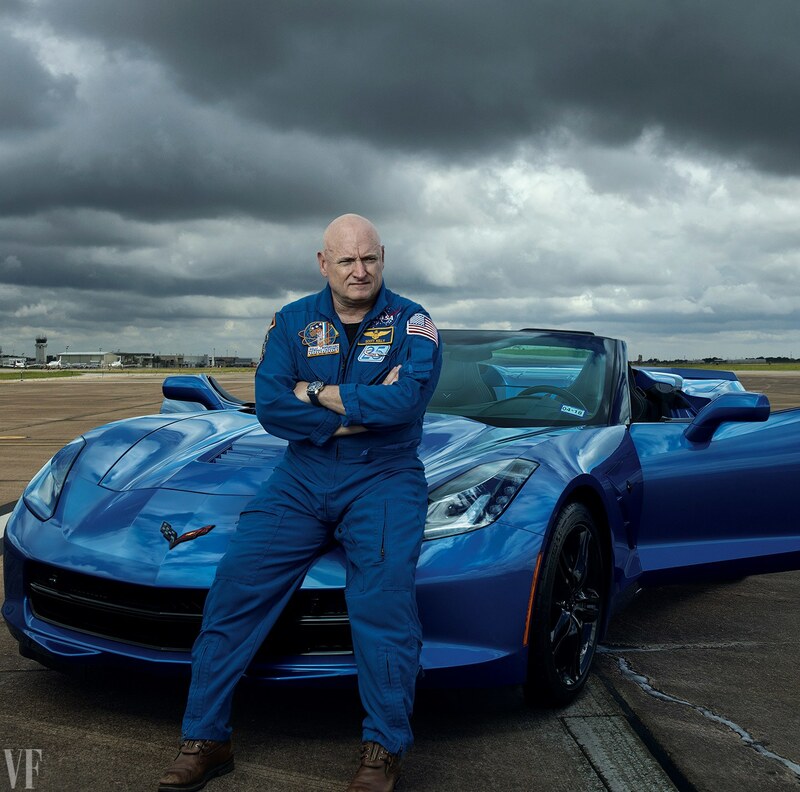 While Kelly claims that part of his volunteering to become the longest man in space, along with studying the physiological aspects upon the human body in zero gravity, is to help pave the way for manned space flights to Mars one day. 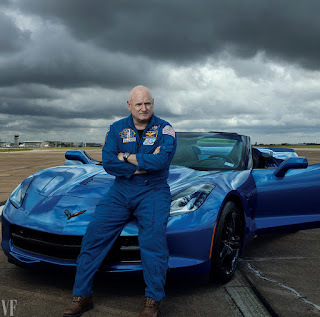 And while naturally, it was an Indianapolis Star's article photo caption which reminded me of thou Astronaut article links floating in Thy No Fenders vacuum. And when I try gOOgling' the All knowing Internetz', I'm absolutely stymied to find any related results upon Mario's gift, which think is now on his Christmas tree? But I did find an entertaining Yarn' comparing the worlds of Racing Drivers v Astronauts via Porsche's Newsroom; Ja Volt! Whilst a current Formel Ein Pilote' reaching for the Starz', with his Poppa beaming a smile as wide as the Moon! Or more likely Cheshire Cat? Hya! Proclaiming to anyone who'll listen: That's My Boy Kickin' everyone's Arse! Is none other than Niederlander sensation Max Dutchboy' Verstappen, as I previously scribbled my tripping over who's "The Boss," and who's the Smilin' "Baby Face Assassin!" Which both of Peacock-lite's Leigh Diffey and thou 'Wee Willie Buxom (Will Buxton) like to call him! And rambling 'bout those "Lost Boys" and it's Dutch founder, Michael Mol, who's journey into Formula 1 began by sponsoring Max's father Jos "THE BOSS" Verstappen in the late 1990's. Naturally I mused to Thyself how whilst bobbing like a proverbial cork in thou Seas 'O Synchronicity near Thar Cape 'O Nofendersville... I ran across a more definitive expose upon Mol's floundering Space Travel venture. While remember Y'all; All Yuhs Need, is what Buzz? Sing I-T Buzz, All You Need!